Do you want to attract birds into your garden? All you need to do is provide them with the right food and make your garden attractive to them. I love seeing all different kinds of birds visiting my garden. I regard it as a real privilege when any wildlife makes my garden their home and birds in particular are fairly easy to attract. Natural pest control – Many birds eat insects that we rather not have too many of in our gardens. By attracting birds you are ensuring that there is a natural balance without having to use pesticides. Education – Watching birds in your garden is a great way to familiarise yourself with the different species. It’s also lovely to include children in this activity and teach them to appreciate and enjoy wildlife. Conservation – Numbers of certain bird species are under threat or declining. We can do our bit to help provide safety and food for our local or migrating species. Relaxation and stress relief – Simply being outdoors and taking in the fresh air and sunshine (think of all that Vitamin D!) 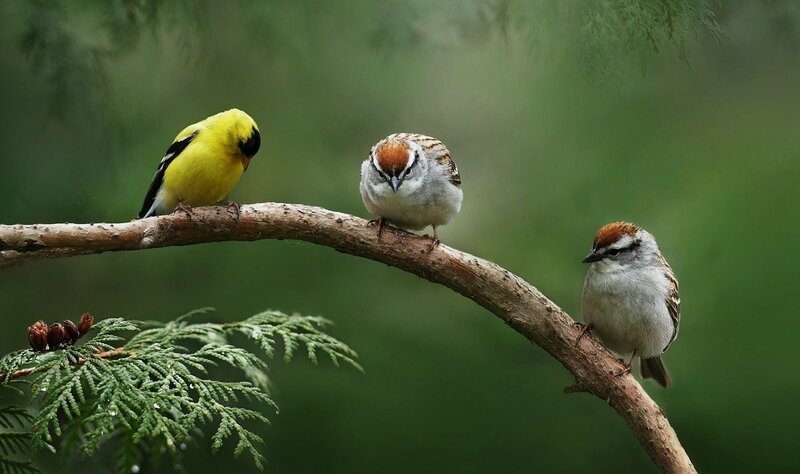 whilst watching and listening to birds promotes well-being. Add to this the relaxing sounds of bird song and you can’t help but feel relaxed and refreshed. Now we know all about the benefits of attracting birds to your garden, let’s find out how best to do this. Bird seed mixtures – avoid cheap low quality seed mixes as they can contain dog biscuits and these can only be eaten when soaked. This is done to bulk up the mixture and isn’t ideal. Nyjer seeds – they are high in oil content and great for winter. They need special feeders and I have attracted many smaller birds with this seed. Peanuts – they are extremely popular in my garden with all kinds of birds. Unfortunately they are also a favourite of our resident naughty squirrel. Use a squirrel proof feeder or leave some food separately for Mr Squirrel. Peanuts can contain a natural toxin so make sure you buy from a reputable supplier. Fat balls – These are very popular in my garden. Make sure you don’t use them in their plastic netting. Birds can get trapped in the mesh and get injured or even killed. Mealworms – you can buy these dried if you’re a bit squeamish about live ones. I find they are very popular with our robins. Cooking fat – salt content can be harmful and cooking fat is prone to smearing and is bad for their feathers. Margarines or vegetable oils – as above, the soft consistency is prone to smearing on their feathers which destroys their waterproof and insulating qualities. Milk – never feed milk to birds as they cannot digest it. 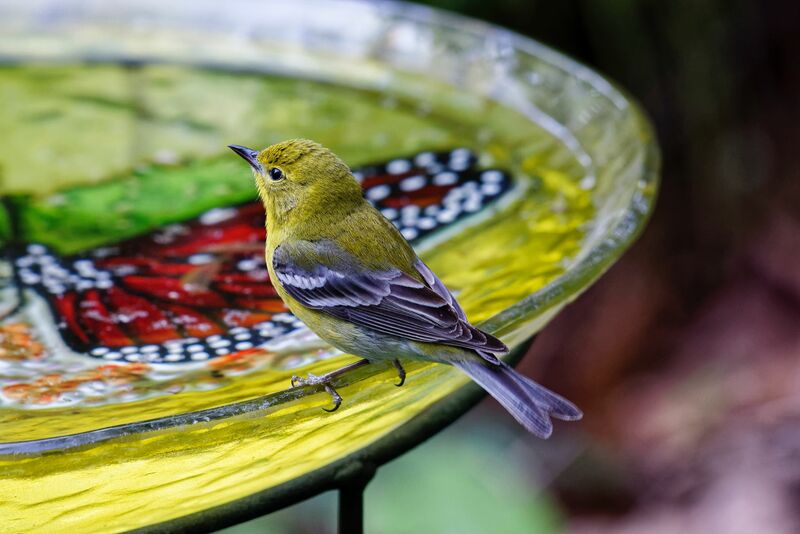 Salt – Never feed birds salted food or add salt to the bird bath to keep the water from freezing. Salt cannot be metabolized by birds and is toxic to them. Bread – you can feed bread to birds but in small quantities. There isn’t much nutritional value to bread. Also make sure you soak it first, which makes it easier to ingest than dry. Suet – this is ok for birds as it is saturated fat unlike other unsaturated kitchen fats that are too soft and can damage their feathers. Potatoes – cooked bits of potato are suitable for birds. Cheese – mild grated cheese is popular with robins, dunnocks and blackbirds. 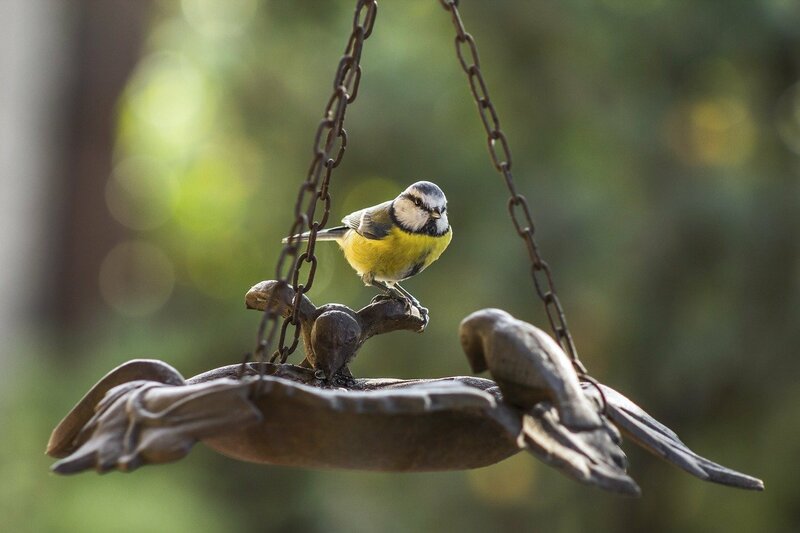 There are many types of different bird feeders so you are bound to find one suitable for your garden. You can even make your own. Nut feeders – these are made of steel mesh. Seed mix feeders – they are usually made from transparent plastic tubes. Nyjer seed feeders – these are specially made to hold the tiny nyjer seeds. Half coconut feeders – these are ready-made half coconut shells filled with a suet mix that can be hung up where the birds can access them. Bird tables – these are sometimes shaped like small houses and have a platform where you can place the bird food. Squirrel proof feeders – these feeders have a cage around them, big enough to let birds through but too small for cheeky squirrels. It would be impossible to list all types of available feeders here, there are so many. But you can also make your own, there are very simple ways to feed the birds in your garden. You could simply fill an old plate with seeds or fruit. This will help birds that are ground feeders. Alternatively you can make your own hanging feeders. Ideally you should place your feeders where birds feel protected and safe. I have found that they like to have a hedge, tree or bush nearby. They like to hide there and look out to see if it’s safe to feed, and it also provides a place to escape to and hide if necessary. If possible place your feeding table or feeder in a quiet and sheltered space. That way the birds feel safe and it’s not too cold or windy for them. Above all, place the feeder where you can see it, you don’t want to miss all the fun! 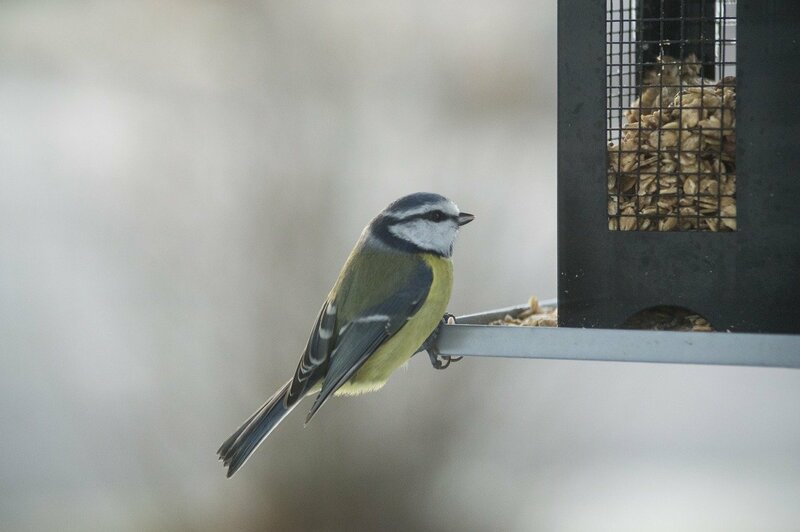 You can feed your birds all year round, although autumn and winter are more beneficial. This is when food is naturally more scarce. However, food shortages can occur at any time of the year, so it is very helpful to feed them all year round. It is especially important to keep all feeders clean during the warmer weather to avoid bacteria and disease. Good hygiene is important otherwise it can be more damaging to feed birds than not. Birds need water as well as food, so it’s a good idea to provide them with drinking water. You can use any shallow container or a bird bath. Change and refresh the water often. 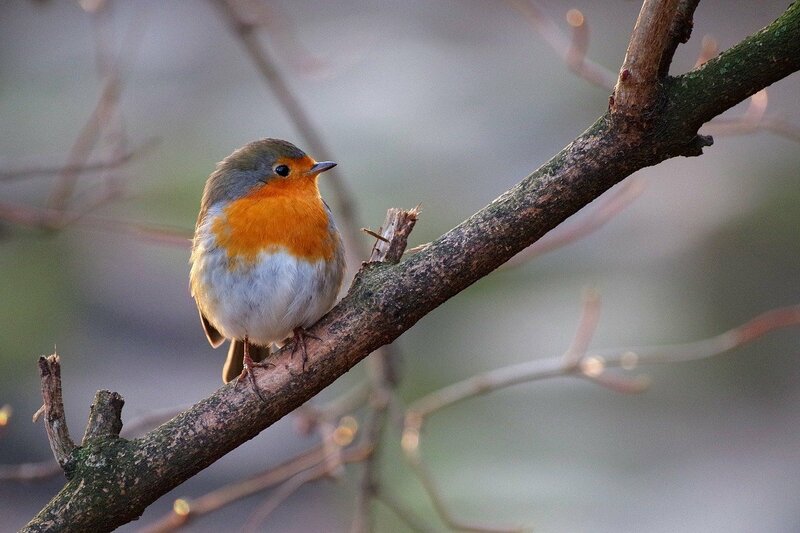 The RSPB’s website is full of information about feeding your garden birds and is worth visiting. 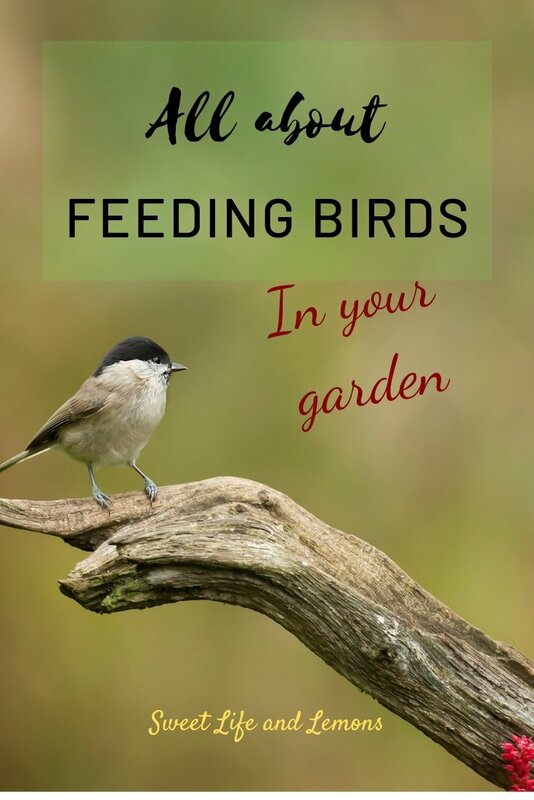 I hope this post has helped and you are inspired to feed the birds in your garden. Hopefully you get as much enjoyment out of feeding your garden birds as I do. Let me know what you think in the comments. If you have any questions, I will try my best to help out.